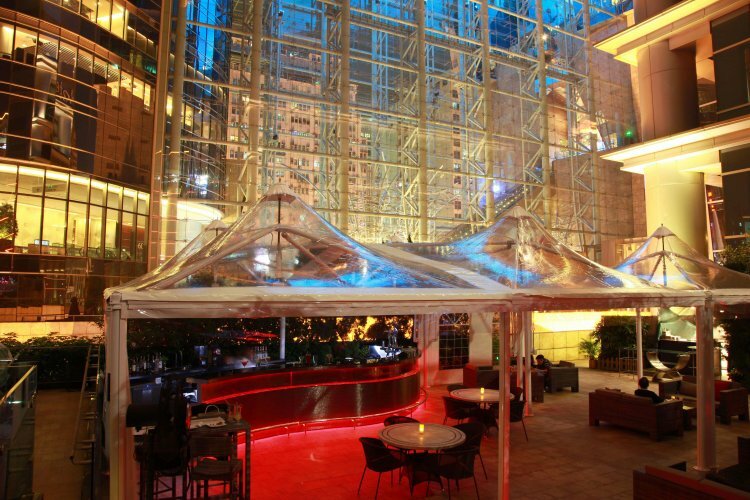 Langham Place is a luxurious 5 star hotel right in the heart of Mongkok, one of Hong Kong's most popular districts. 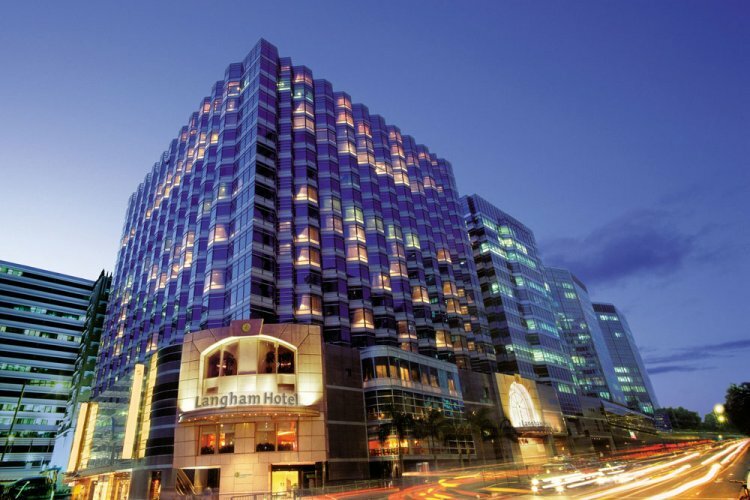 The hotel is conveniently located close to shopping hotspots of Hong Kong including Fa Yuen Street, Ladies Street and a direct connection to Langham Place Shopping Mall. 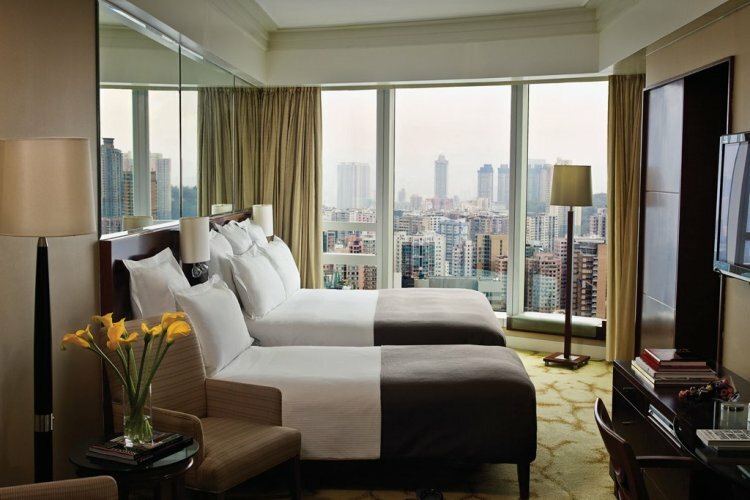 There are 665 rooms at Langham Place and a heated rooftop pool with unprecedented views of the Hong Kong skyline. There are 50 suites at the hotel ranging from Junior Suites to 3 bedroom apartment style suites with kitchen area and breakfast bar. Guests staying in suites have access to the hotel's Club L Privileges, Langham Place's lounge located on level 36 of the hotel. At Club L, guests can enjoy privileges such as champagne served daily, a selection of finger foods, afternoon tea, evening cocktails, complimentary use of the rooftop pool and more. The hotel has a selection of restaurants with a variety international cuisine. Ming Court is a 2 star rated Michelin restaurant located on the 6th floor. Guests can sample signature dishes of Ming Court and sample multiple award winning dishes. The Place serves a daily buffet of breakfast, lunch and dinner. Guests can also choose dine a la carte with a choice of Eastern and Western delights. The Backyard is set amongst idyllic water features and offers a great place to unwind after a day of shopping in Hong Kong. A selection of gourmet pizzas, cocktails and beers are on the menu at The Backyard. Langham Place is also home to an award winning spa, Chuan Spa. Indulge in a spot of pampering and wellness at Chuan Spa, which draws upon the five elements earth, fire, water, metal and wood. There are a range of spa treatments from holistic massages, body wraps, hydrotherapy and more. Facilities at the spa include a steam room, hot tub, a sauna and fitness studio. "Some days wet some cool and dry"
"We were very lucky to have hot sunshine"
"Warm days, colder nights. Very nice." "Clear and pleasant and nicely without too much smog for a change!" "Poor with misty conditions although able to explore Hong Kong Island"
"As expected - hot and a bit humid, one day in Hong Kong was overcast and rained a little but being British we're used to that..."
"Hong Kong was hot but rainy - great for shopping.... Bangkok was hot and dry in the day and rained overnight which cleared the air. The Maldives was just beautiful sunshine and balmy in the evenings, and Dubai was very hot and dry." "Sunny and overcast in turns, a couple of downpours and very hot and humid." "Most of the time we were there is was hot, humid and sticky. When the rain fell it was spectacular and tropical in that respect. When the sun came out it was very warm. I have to say I wouldn't go to Hong Kong for the weather, but it never stopped us enjoying our trip." "Humid, not entirely sunny but definitely hot!" "good weather, nice and hot"
"Hot and humid with occasional rainstorms"
"There for three days. Very hot and humid.One day rained for 6 hours continuously. rest of time showery." "Wet in Hong Kong but this didnt spoil the trip as it was v warm , bali was dry and hot and Singapore warm and cloudy"
"unfortunately bad - typhoon while we were there!" "overbearingly hot and humid, you almost melted after a few hundred yards. I would defiantly avoid the summer months if we were to return." "Sunny everyday and 30 degrees"
"Hot and humid with some rain due to a cyclone but this didn`t interfere with our holiday"
"It was very hot and humid." "Mixed but lovely & hot." "Very warm, slight overcast on one of the days, but bright and sunny throughout (30c) warm in the evening also"
"Warm & sunny most of the time"
"Lovely - perfect time of year to go." "Lovely - blue skies, warm and sunny every day." "1 lovely bright day and 1 wet afternoon." "Chilly in the mornings and night but warm during day." "Pleasant. A bit cooler then first thought"